Under a fenced-in monument, John and Jemima Howard are buried in High Park. They owned the land the park now sits on but donated it to the city in 1873, one of the conditions being that they could continue to live there 'til they died and be buried on the property. Jemima passed away in 1877. John lived for another 13 years before passing away in 1890. 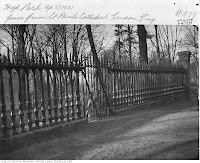 I had never known until I saw the picture to the left from 1921 in Historic Toronto Photos that the fence that fronts the tomb is from St Paul's Cathedral in London. 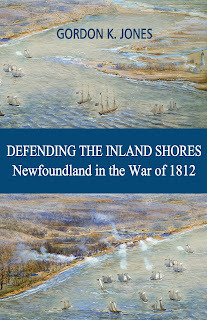 It is an interesting story on how it got here. In 1875, while both were alive, John designed and had their tomb erected across the road from where they lived. The year before, John learned that the fence which had been designed by Sir Christopher Wren, cast in 1714 and had protected St Paul's Cathedral for 160 years was being torn down. 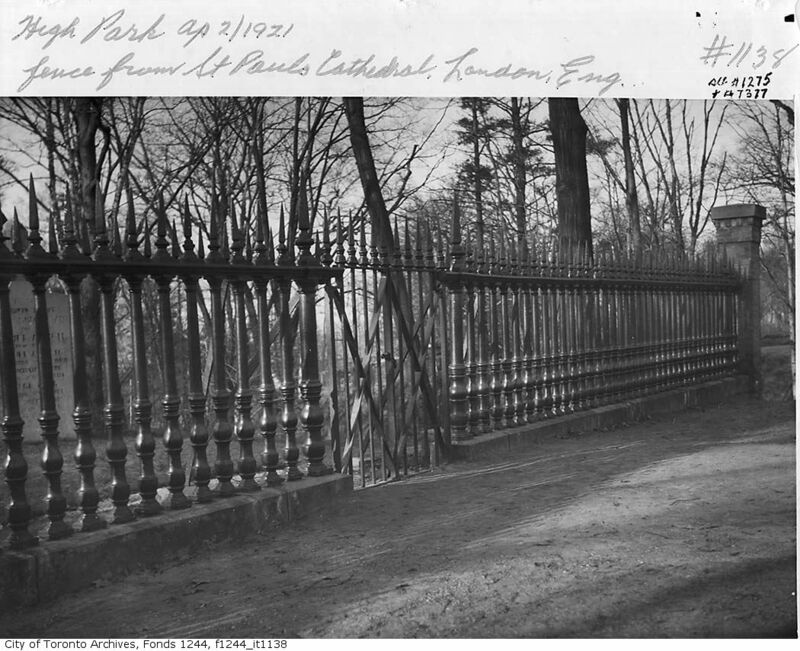 He instructed his brother in-law, who lived in London, to purchase the railing and have it shipped to Toronto. The ship carrying the fence had an accident and sank in the St. Lawrence River. John Howard did not give up. Instead he hired a crew to find the ship ans salvage the fence. The cost of doing so was more than the cost of shipping the fence from London! Only a portion of the fence could be raised and it is that section which fronts the tomb. There is a poem stamped on a copper plate on the gate post. It was thou who caused the severance.